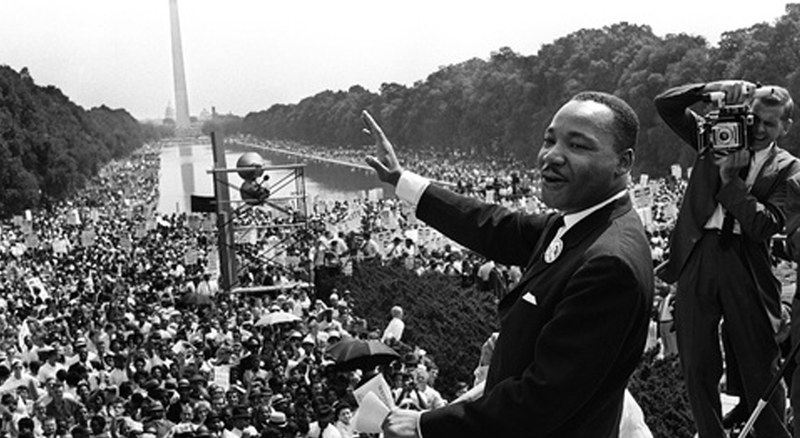 Gilbert’s Martin Luther King Jr. celebration for 2014 has been set for Monday, Jan. 20, at Higley Center for the Performing Arts. A move is also under way for Gilbert to join other Southeast Valley communities to hold a regional Dream Week in 2015. The Gilbert Human Rights Commission, which has until this year organized the commemoration of the late civil-rights leader’s birth, received briefing on the schedule and plans from the town. Event-planning department staffers Dina Lopez, Mike Leppert and Denise Merdon presented at the commission’s recent monthly meeting. Leppert said the $2,000 anticipated budget is being raised via sponsors. The commission has a limited role to play: It was asked to secure non-profit and service organizations to run about 15 booths in the lobby of the arts center and provide volunteers on event day. The commission is to be recognized at the celebration as well. While the commission was not asked to solicit financial or in-kind support from sponsors, the town is “open” to such help, staffers indicated. Last year’s King Day family picnic at Redemption Church was attended by an estimated 1,500 people. It featured seven performing groups, several speakers, an art competition and exhibition with work by Gilbert school students, information booths on community services and activities for kids. Organizers are aware that the art center’s indoor venue could limit seating and movement. Merdon said those who attend will be able to walk around and interact with vendors and view entries in the student art competition. “We’re trying to make it interactive (for participants) and not stay a captive audience for two hours,” said Merdon, adding that the presentation would be question-based and lead to conversation. Keynote speakers include Calvin Terrell, founder of Social Centric, an organization that provides education and training for all ages to enhance human interaction and global progress. For more than 20 years, Terrell has conducted workshops for valuing diversity, equity and justice-building in schools, corporations and civic organizations. Terrell’s speech, Lopez said, will be brief to accommodate a community dialogue that he will lead. The questions for the dialogue are to be posted in the lobby. The other keynote speaker is William Crawford III, vice president of Chandler-Gilbert Community College. For the 2015 MLK celebration, Gilbert is planning to join other Southeast Valley cities and is currently speaking to its counterpart in Mesa. Dream Week would offer a week’s worth of activities focusing on King, and Gilbert’s current event would be a part of the umbrella event, staffers said.